Karachi is a realm where all your ambitious dreams come true, it is built for a promising tomorrow. Famed as the Pakistani city that never sleeps and the center of all trade and finance, there is nothing about Karachi that will not make you fall in love with it immediately. Its charming lifestyle, lively citizens, the one of a kind culture and the limitless opportunities will make the best version of yourself. Commander Builders is an influential force of integrity, reliability and commitment, thriving on the principles of creativity, innovation and quality. Our work is revered by all the spheres of real estate development, architecture and construction in Pakistan, holding brilliant employed minds with extensive experience in these fields. Our projects have always been received with great admiration for the innovative design, modern construction and exceptional planning. Commander Builders is in process of making a list of remarkable accomplishments throughout their golden journey, and the wondrous Commander Enclave is yet another addition to that singular list. Commander Builders strictly believes in wining and retaining the trust of all the valued customers through high quality work rather than achieving the higher sales targets. he unprecedented success of our projects will largely be due to the immaculate performance we will exhibit in coming years. We never settle for less, and always thrive in the hunt for better. A luxurious lifestyle, safe and secure like heaven is one thing that every individual dreams of. We, with our strong aims, strive to convert your dreams into reality. Having a vast experience in satisfying a huge clientele, Commander Enclave is completely aware of what elements to integrate for generating the best output. We value the importance of relationships with our customers and will continue to remain fair and true in our dealings with all employees, clients, vendors and partners. Our clients count on our dependability, our drive and our integrity. We take great pride in our accomplishments and build on them every day. 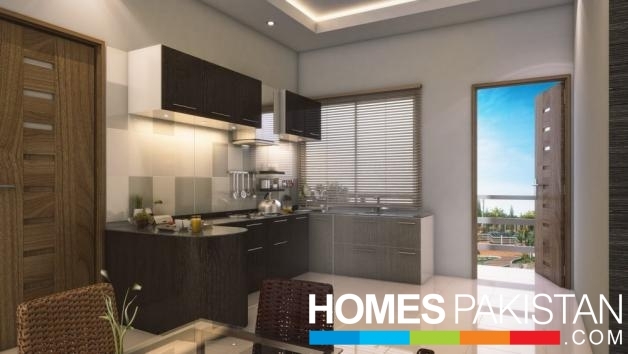 Commander Enclave has been designed to provide you with the greatest luxury and space anyone can offer. 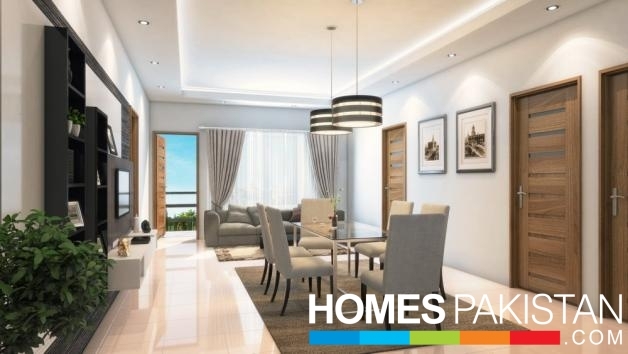 With a generous percentage of project preserved as open space and beautiful gardens, you can enjoy the invigorating environment and escape the suffocating concrete jungle. The apartment blocks also come with spacious corridors and effective ventilation systems, ensuring healthy living for its residents. Commander Enclave is a complete and sustainable community, providing lavishness, comfort and safety to its residents, which is why residents don’t just live, but also flourish here. The community environment is perfect for families looking for the settlement.Commander Enclave offers apartments in a resort-like environment, offering all kinds of facilities: heated swimming pool, jacuzzi, suana, movie theater, gymnasium, indoor games, restaurant, coffee shop, etc. 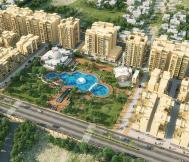 Commander Enclave is an ongoing project of Commander Builders (SMC-Pvt) Limited. 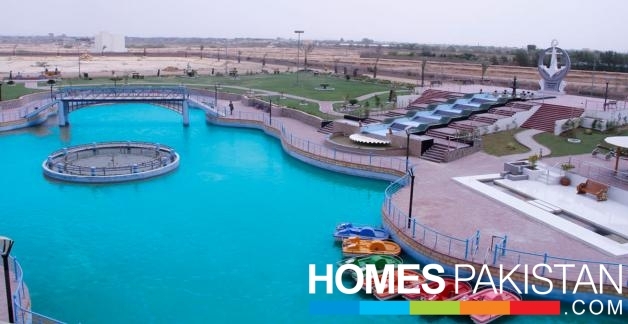 It is located at Main Godap Road, just two minutes drive from Baqai University, connecting directly with Karachi-Hyderabad motorway. The project comprises of 5 storey cottages in Phase 1 and 10 storey high-rise apartments in Phase 2. We offer 6 categories of 3, 4, and 5 rooms apartments. The location is one of the most sought after areas of Karachi in terms of peace and serenity, separated from noise and pollution of the city. 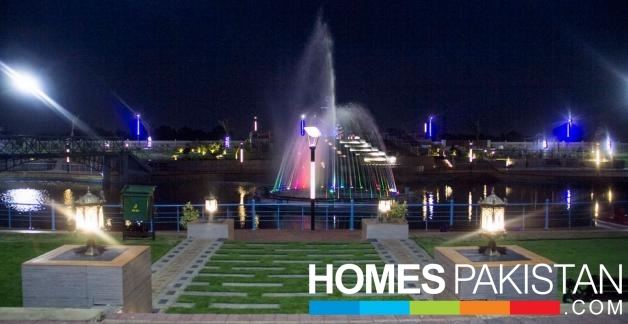 This location is perfect for those seeking peace and quiet, while also taking advantage of city life, A wonderful living experience awaits you at Commander Enclave, which has a beautiful lake, surrounded by gardens, fountains, a clubhouse and a mosque. The lake and gardens have been completed and you can visit the site any time you like. The clubhouse will include gym, games room, cinema, food court and a coffee shop. Booking is open for this project. Go ahead and book your place now. Offering a perfect escape from the tiring and monotonous routine, health and leisure facilities at Commander Enclave are truly amazing. Making your body and mind as tough as steel, at the modern, fully-equipped gym, treat your soul to some yoga and beat the heat with a refreshing swim at the well-maintained swimming pool. 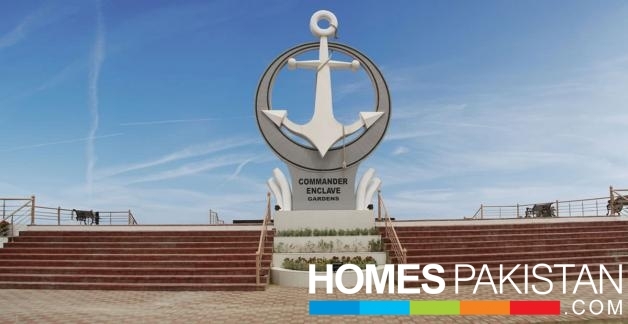 Commander Enclave is located at, on Main Gadap Road,just two-minute drive from Baqai University, connecting directly with the Karachi-Hyderabad motorway. One of the most sought after areas of Karachi in terms of peace and serenity, separated from noise and pollution of the city. The location of Commander Enclave is perfect for those seeking peace and quiet, while also taking advantage of the city life.An incredible world, crafted with the glorious vision of distinctively luxurious living and whose every brick is a testamentto that vision, Commander Enclave is a sensational gated community. Manifesting contemporary architectural designs through its breathtaking makeup, Commander Enclave is the address that we all have been yearning for. steel at the modern, fully-equipped gym, treat your soul to some yoga and beat the heart with a refreshing swim at the well-maintained swimming pool. utmost comfort to the residents. Powerful standby generators, high speed lifts for high rise buildings 24/7 CCTV surveillance and the central security control room are facilities, too good to be true.